Tthe PINPOINT pH Monitor� is in use by thousands of customers worldwide. This affordable unit remains the only full-time pH monitor with .01 resolution. 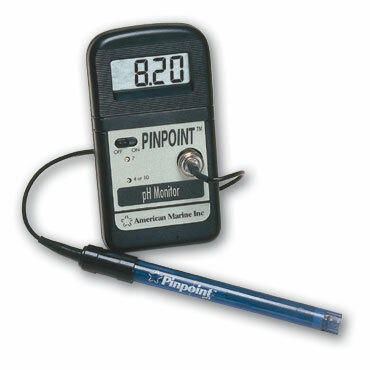 The PINPOINT pH Monitor� requires only a 9-volt battery and is sold complete with probe and calibration fluids. The electrode is also available separately and fits any meter or monitor. Comes complete with meter, probe and all calibration fluids. Given proper care, the PINPOINT pH Monitor� should last a lifetime. PINPOINT pH Probe comes with a 10 foot high supression cable and a BNC connector. Powered by a standard 9-volt battery (not included).